At 4 p.m. on a hazy November afternoon in Rangoon, 1862, a shrouded corpse was escorted by a small group of British soldiers to an anonymous grave in a prison enclosure. As the British Commissioner in charge insisted, 'No vestige should remain to distinguish where the last of the Great Moghuls rests.' Bahadur Shah Zafar II, the last Mughal Emperor, was a mystic, a talented poet, and a skilled calligrapher. But while Zafar's Mughal ancestors had controlled most of India, the aged Zafar was king in name only. Deprived of real political power by the East India Company, Zafar nevertheless succeeded in creating a court of great brilliance, and presided over one of the great cultural renaissances of Indian history. Then, in 1857, Zafar's flourishing capital became the centre of an uprising that reduced his beloved Delhi to a battered, empty ruin. When Zafar gave his blessing to a rebellion among the Company's own Indian troops, it transformed an army mutiny into the largest uprising the British Empire ever had to face. The Siege of Delhi was the Raj's Stalingrad: a fight to the death between two powers, neither of whom could retreat. 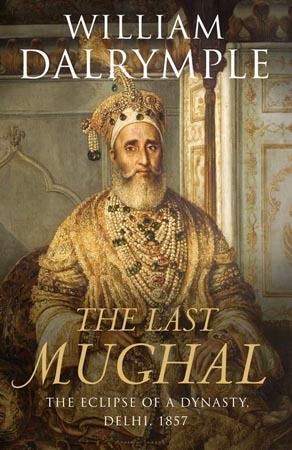 The Last Mughal is a portrait of the dazzling Delhi Zafar personified, the story of the last days of the great Mughal capital and its final destruction in the catastrophe of 1857. 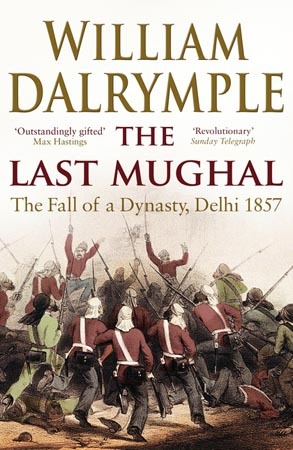 William Dalrymple's powerful retelling of this fateful course of events is shaped from groundbreaking material: previously untranslated Urdu and Persian manuscripts that include Indian eyewitness accounts, and the records of the Delhi courts, police, and administration during the siege. The Last Mughal is an extraordinary revisionist work with clear contemporary echoes. It is the first account to present the Indian perspective on the siege, and has at its heart the stories of the forgotten individuals tragically caught up in one of the bloodiest upheavals in history.